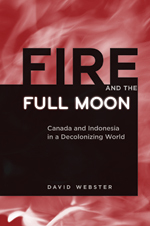 Fire and the Full Moon: Canada and Indonesia in a Decolonziing World (University of British Columbia Press, 2009) focuses on Canadian-Indonesian relations to explore a larger question: Was Canada’s postwar foreign policy guided by an overarching set of altruistic principles, or did its policy objectives in the South follow a different path? It frames Canada’s response to the Indonesian struggle for independence in the context of other regional decolonization movements and US and Commonwealth relations with Asia and shows that Canada operated as a loyal member of the Western alliance, hoping that Indonesia would follow Canada’s own, non-revolutionary, model of decolonization and development. Canadian economic development policies caused Canada to overlook Indonesian human rights violations in East Timor. 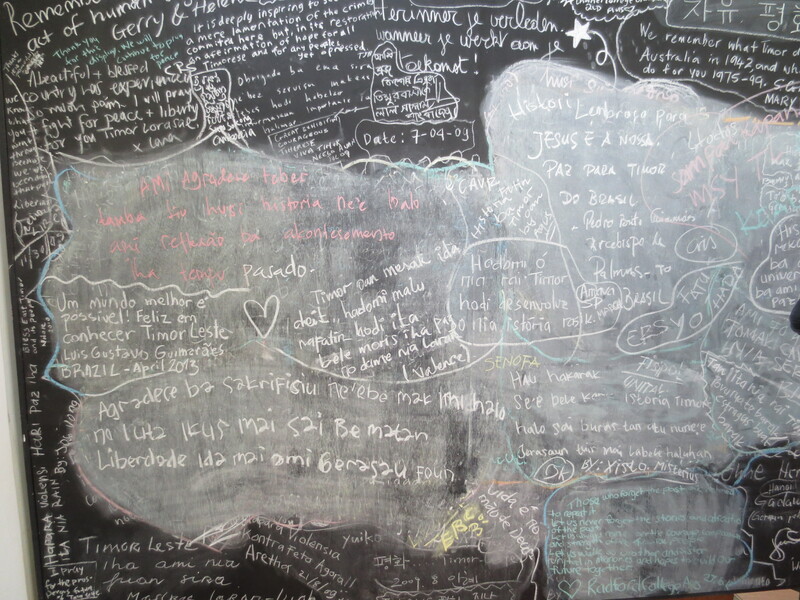 “Languages of Human Rights in Timor-Leste,” Asia Pacific Perspectives 11.1 (2013) – the pdf version is here. and Fragile States in Historical Perspective, eds. Michael K. Carroll and Greg Donaghy (University of Calgary Press, 2016). Development Advisors in a Time of Cold War and Decolonization: The UN Technical Assistance Administration, 1950-1959. Journal of Global History 6 no. 2 (2011): 249-272. After the Missionaries: Churches and Human Rights NGOs in Canadian relations with China. Journal of American East Asian Relations 20 no. 2-3 (2013): 216-33. Canada and Bilateral Human Rights Dialogues. Canadian Foreign Policy 16 no. 3 (2010): 43-63. Self-fulfilling prophecies and human rights in Canada’s foreign policy: the case of East Timor. International Journal 65 no. 3 (2010): 739-750. Regimes in Motion: The Kennedy Administration and Indonesia’s New Frontier, 1960-1962. Diplomatic History 33 no. 1 (January 2009): 92-123. 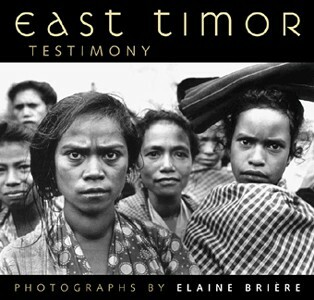 History, Nation and Narrative in East Timor’s Truth Commission Report. Pacific Affairs 80 no. 4 (2007): 581-91. From Sabang to Merauke: Nationalist Separation Movements in Indonesia. Asia Pacific Viewpoint 48 no. 1 (April 2007): 85-93. Islam and Cold War Modernization in the Formative Years of the McGill Institute of Islamic Studies. International Journal of Canadian Studies 32 (2005): 15-43. ‘Already Sovereign as a People’: A Foundational Moment in West Papuan Nationalism. Pacific Affairs 74 no. 4 (Winter 2001-02): 507-28. Eyeing the Indies: Canadian Relations with Indonesia, 1945-1999, in Modern Canada: 1945 to Present, ed. Catherine Briggs (Toronto: Oxford University Press, 2014). Race, Identity and Diplomacy in the Papua Decolonization Struggle, 1949-1962, in Race, Ethnicity and the Cold War: A Global Perspective, ed. Philip Muehlenbeck (Nashville: Vanderbilt University Press, 2012). Refereed encyclopedia entry: “Keenleyside, Hugh Llewellyn” in IO BIO, Biographical Dictionary of Secretaries-General of International Organizations, edited by Bob Reinalda, Kent J. Kille and Jaci Eisenberg, www.ru.nl/fm/iobio. “Human Rights: Across the Pacific Both Ways,” in Akira Iriye and Robert David Johnson, eds., Asia Pacific in an Age of Globalization (Basingstoke, UK: Palgrave Macmillan, 2015). “Foreign Policy, Diplomacy, and Decolonization,” in Karen Dubinsky, Sean Mills, and Scott Rutherford, eds., Canada and the Third World: Overlapping Histories (Toronto: University of Toronto Press, 2016). David Webster and Sarah Zwierzchowski, Webster Zwierzchowski, Ecumenical Coalitions Historical Studies 81 (2015): 73-96. “Self-Determination Abandoned: The Road to the New York Agreement on West New Guinea (Papua), 1960-62,” Indonesia (Cornell University) no. 95 (April 2013): 9-24. John Meehan and David Webster, “A Deeper Engagement: People, Institutions, and Cultural Connections in Canada-China Relations,” introduction to special issue on Canada-China relations of the Journal of American East Asian Relations 20 no. 2-3. “Petrolio, Imperi e Nazionalismo Economico: il Saskatchewan e l’Indonesia a confront, 1944-1963” [“Oil, empire and economic nationalism in Saskatchewan and Indonesia, 1944-63,”] 900: Per una storia del tempo presente (Italy) no. 4 (2011): 59-83. John Meehan and David Webster, “From King to Kandahar: Multilateralism and Conflict in the Pacific, 1909-2009,” Canada Among Nations 2008: 100 Years of Canadian Foreign Policy, eds. Robert Bothwell and Jean Daudelin (Montreal: McGill-Queen’s University Press, 2009). Geoffrey Hainsworth, Sarah Turner, and David Webster, “Indonesia’s democratic struggle:Reformasi, otonomi and participasi,” Asia Pacific Viewpoint 48 (2007): 41–46. “Dari Sabang sampai Merauke: Gerakan Pemisahan Nasionalis di Indonesia” [“From Sabang to Merauke: Nationalist Separation Movements in Indonesia,”] in Drama Indonesia: Ketidakpastian di Tengah Globabalisasi [Indonesian Drama: Uncertainty in a Globalizing World] eds. Geoffrey Hainsworth and Bakti Setiawan (Yogyakarta, Indonesia: Gadjah Mada University Press, 2006). “Colonial Rhetoric: The Dutch East Indies and Indonesian East Timor,” Brock Review 7 no. 1-2 (1998/99): 101-18. Occasionally, I write for the East Timor Action Network ETAN Action blog, activehistory.ca or the monthly West Papua Report. Prior to academia I worked in journalism including coverage of international human rights issues. A 1994 piece on Chiapas and a 2000 article on West Papua are examples. My earliest op-ed for a daily paper was on East Timor in 1992 for the Toronto Star and can be accessed via the Archives and Museum of the Timorese Resistance online collection. I continue to comment on international human rights issues, for instance as part of the Asia Pacific Foundation’s National Conversation on Asia. East Timor’s second independence struggle is with Australia. Ricochet, 4 April 2016. Episodes in Canada’s arms trade: 1946 and 2016, activehistory.ca, 20 April 2016. 1965: Evidence from Canadian Documents. ETAN, 27 Oct. 2015. The .tp country domain name, 1997-2015: In memoriam,” activehistory.ca, 16 March 2015. China’s official History and Wild Histories, activehistory.ca, 2014. Did US Business Shape Early US Policy That Thwarted Papuan Self-Determination? West Papua Report, July 2014. Canada and the Right to Food, activehistory.ca, 2013. Empty promises whitewash Freeport’s rights, responsibility record, ETAN, 2011.
International Development Week: Canadian aid at sea, activehistory.ca, 2010.